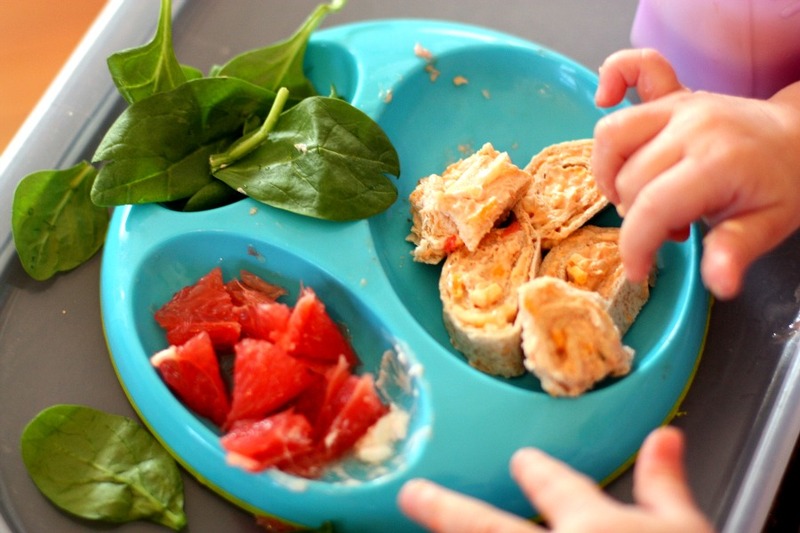 I’m always on the lookout for new creative meals to feed M. When I saw these tortilla rolls I immediately thought she would love them. I changed up the recipe to make it more kid friendly (which means less spicy). 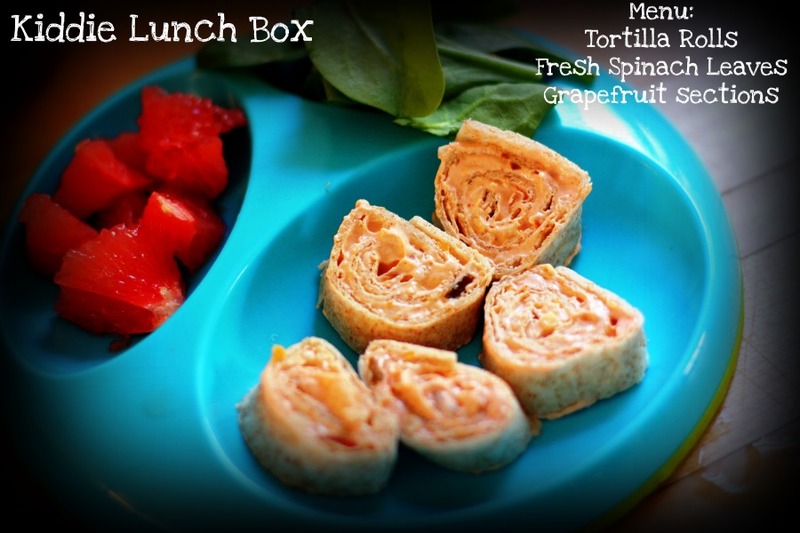 Mix everything together, spread mixture onto a whole wheat tortilla, roll tortilla up, slice & serve. I served it with fresh spinach leaves & grapefruit sections. I know what you’re thinking… Why fresh spinach leaves? Because every time Mr. Weekly Bite or I eat a salad she begs for the spinach leaves. I’m just going with it and enjoying her eating spinach while I can. The big question is…. Did she like the meal? Here’s the verdict…. 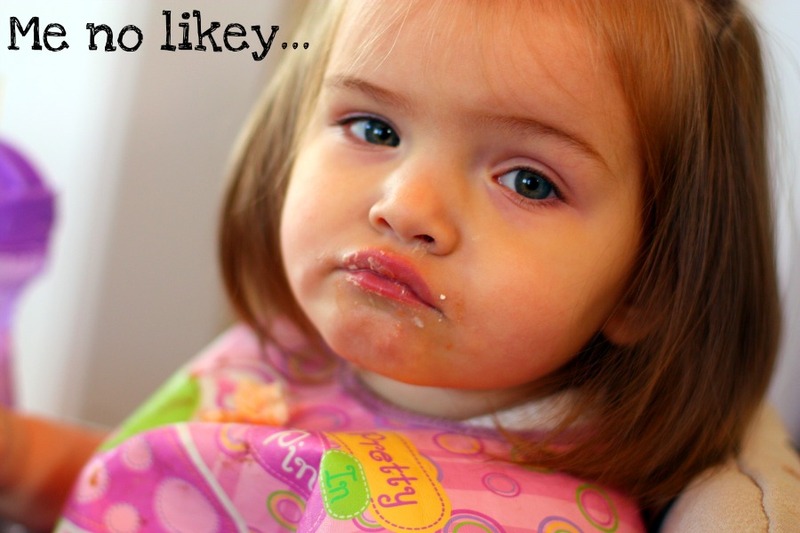 This is what she did with her plate for twenty minutes…. She did not like this at all 🙁 Boo. At least I tried… right? Aw, I’m sorry they weren’t a hit– I think I would LOVE them! You win some and you lose some, right. I heard it takes 7 times of tasting something to know if you like it or not. I don’t know if I am ever willing to go the 7 times though. You never know unless you try though. My son will frequently refuse to eat or even try something one day and then happily eat it the next. Don’t give up…she may very well enjoy that meal another day! Looks delicious to me! Keep trying mama! At least you are exposing her to lots of foods! I like the variety! I need to try those for my M. She loves all things taco. Too bad your M didn’t love them. She still looks lovely though! And don’t you just love those bibs? Makenzie has the same one! She just keeps getting cute every.single.picture 🙂 love it! Too bad she didn’t like it 🙁 Sounds like something I would love! I would much rather have had these than lunchables growing up.